Microsoft to Partner with Dolby for Windows 8 Audio? After our initial story of Microsoft’s idea to remove DVD playback and Media Center support from core installations of Windows 8 (you can still get it with an upgrade purchase) we find out a bit of news that simply makes no sense in light of what we are hearing about its crippled media playback functions. It appears that Microsoft is going to lean on Dolby Laboratories for enhanced audio in Windows 8. Now as anyone with a basic familiarity with computers knows, simply having Dolby onboard is not going to automatically make the audio better. You still have to have good hardware behind this. What adding Dolby Digital will do is make the “good enough” audio better. Dolby software can be used in two ways; the first is to use Dolby audio profiles and enhancement techniques to improve the recorded sound. This is called post processing and is used all the time. However, to play these profiles back you have to either have Dolby compliant hardware or run software to read these. It is this second part that really makes no sense. You see Dolby Digital Plus is an application (well really a series of services) to allow non-Dolby hardware to read and play back the Dolby audio streams. These are normally dropped into movies… Movies like DVDs, BlueRay and other streaming media. 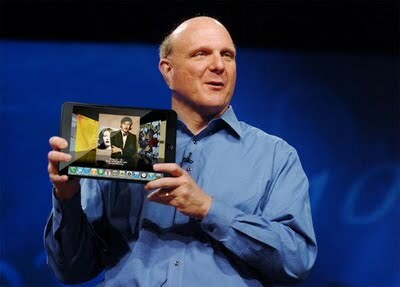 Now we know that Microsoft wants very desperately to move to the cloud with Windows 8. They WANT you to use services like Netflix, Hulu and even their own cloud based media service so bad they are have removed the option to use regular media unless you pay extra for it. This is starting to make them sound more and more like Apple with each new bit of information we hear about them. One of Microsoft’s greatest attractions is that it was not a limited-functionality software. You could install it on almost anything that do what you wanted to with it. Now with Windows 8, Microsoft is forcing the Metro UI on you, limiting many of the things you can do and even locking down certain functions unless you use a “Microsoft” account.